As the merry merry month of May winds down in a hot, sticky fashion, I thought it would be appropriate to share my take on the traditional German punch called May Wine. The following recipe is for a pitcher for home consumption, but could serve for a small party. For a larger party, double the recipe and serve in a large punch bowl with a ball of ice and garnishes. 2 Bottles of dry, white Mosel wine or sweeter if you like. A couple inexpensive Michigan or New York Rieslings would work very well too. 1 cup of powdered sugar or other sugar to taste depending on the sweetness of the wine. 1/2 liter of club soda, seltzer or other sparkling water. An inexpensive dry sparkling wine can also be used. Pour half of one bottle (375 ml) into a large bowl or a pitcher. Add the sugar, 6 sprigs of woodruff and stir. Let sit for 30 minutes. Remove woodruff. Combine with the rest of the wine and stir. Just before serving add the soda or sparkling wine. 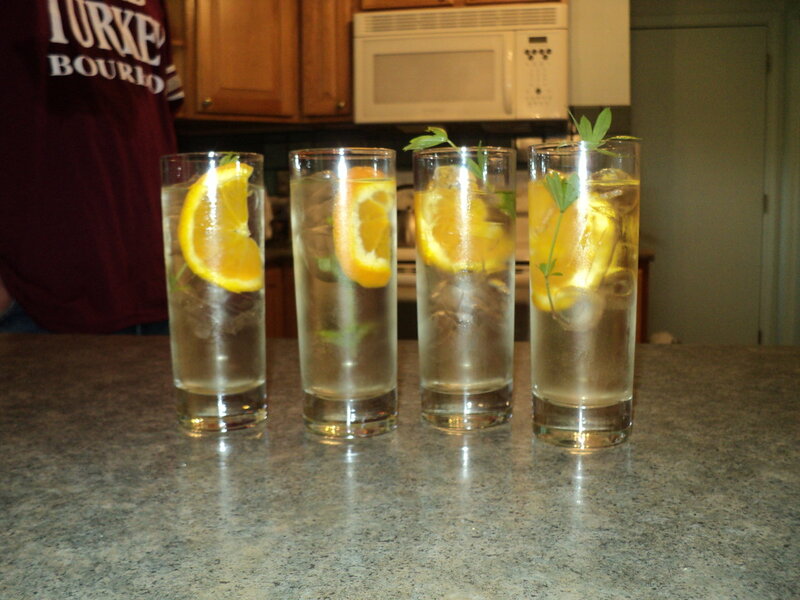 Serve in glasses of your choice with a sprig and a slice of orange or 2-3 slices of strawberries.